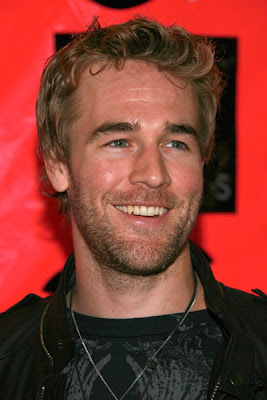 Televisionista: James Van Der Beek to Guest Star on CBS' "How I Meet Your Mother"
James Van Der Beek to Guest Star on CBS' "How I Meet Your Mother"
Is CBS' sitcom "How I Met Your Mother" about to steal the "Will & Grace Award" from ABC's dramedy "Ugly Betty" for the ridiculous number of hot celebrity guest stars making an appearance on the show? I certainly hope so. Just a week after Britney Spears helped the Monday night comedy reach its season high ratings and best 18-49 numbers ever, E!Online has confirmed former "Dawson's Creek" star James Van Der Beek will make a guest appearance on the show as well. 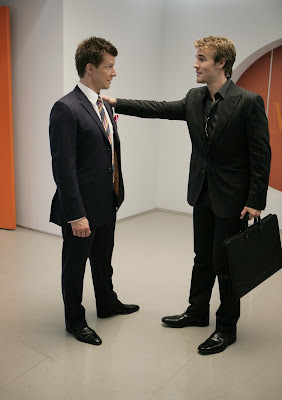 Van Der Beek also appeared in "Ugly Betty" last fall playing an idiot Mode advertiser who had a problem with Alexis (Rebecca Romijn) being a transsexual. In "How I Met Your Mother" Van Der Beel is supposed to play the crush of the local news anchorwoman, former Canadian pop star and Ted's ex-gal Robin played by Cobie Smulders in the upcoming "Robin Sparkles" episode. Last year Van Der Beek starred with Lucy Lawless and Eddie Cibrian in the failed ABC pilot "Football Wives" based on the popular (now canceled) British soap of a similar title. Oooh! He's still sooo hot!